Global Asia Blog | Eating less animals good for you and the planet? Eating less animals good for you and the planet? Nowadays there is a worldwide growing awareness about climate change, consuming and producing goods in a sustainable way in order to save the planet. One of the main topics is the agriculture and the consumption of animals, meat, fish and sometimes animal products. Greenhouse gasses are gasses that contribute to the global warming, these gasses absorb sunlight that should return in to space. However, because these gasses absorb heat the temperature rises. These temperature rise changes climates, causes extreme weather events such as floods, storms, droughts, heavy rainfall and rise of sea level (because of melting ice caps). Agriculture has a large contribution towards these gasses and thus global warming. 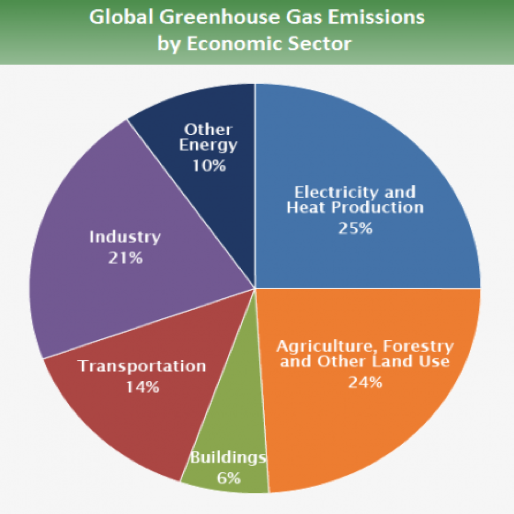 The agriculture sector is responsible for 24% of the worldwide greenhouse gasses. So there are several researches about the impact of the agriculture sector globally. 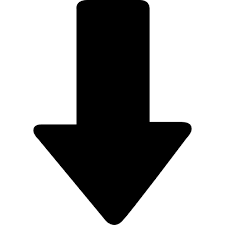 Thy differentiate from 20% global greenhouse emissions to 30% emissions and sometimes some other numbers. What we can conclude from this that around 25% so a quarter of all greenhouse gas emissions are produced by the agriculture industry. But why is the agriculture industry producing so many gas emissions? The agriculture contributes via, fertilizers, livestock, wetland rice cultivation, manure management, burning of savanna and agriculture residues and ploughing. In order of livestock, the most famous gas talked about is carbon dioxide (CO2)that is causing global warming. However, methane gas is a different kind of gas that is has likely 20 times more warming potential then carbon dioxide and this gas is produced by animals by their excrement, and then think about how many animals there are on the world. Because there is a growing demand of consumption, there need to be more space for agriculture (around 50% of the habitable land is already used for agriculture.) , so forest and potential other natural areas get converted into agriculture land (38% of the total world is used for farmland). These natural areas are the home of wild plants and animals, and plants or species could decrease or even extinct. For example, in Indonesia and Malaysia they are expanding oil palm plantations, this is a major threat towards engendered species such as, Asian Elephant, Sumatran Rhinoceros and tigers. 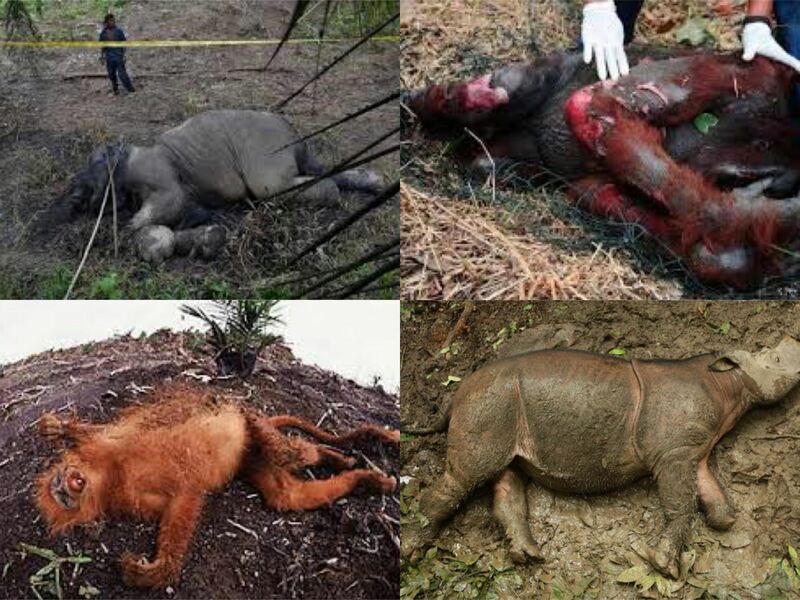 Animals being affected by the palm oil industry! 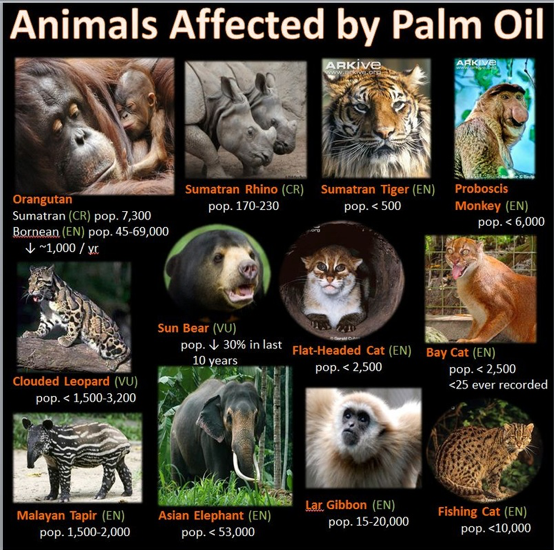 The faith of some animals caused the palm oil industry! Since the 19th and 20th and now the 21st century the rate of population growth is tremendously. Where in 1804 the world population reached 1 billion, 123 years later reached 2 billion (1927). After that, only 33 years later we reached 3 billion (1960) and 14 years later 4 billion (1974) and it continuous 6 billion (1999) and currently 7.6 billion people in the world. On such a short time frame the world population has grown hence the world consumption. Therefore, the earth resources has been exploited, and the humans intend to do so. The world population continuous to grow and estimations say, in 2030 8.5 billion in 2050 9.7 billion and will exceed 11 billion in 2100. So, if we look back and do a quick calculation in 300 years the world population would grow 11 times its original size. In 2014, around 315 million tonnes of meat were produced worldwide, in 2050 this is supposed to be 455 million tonnes of meat. Feeding and also meet the demands of 9.7 billion people is almost impossible and production needs to double worldwide. Even now there are worldwide hunger problems. With earth at its limit of its resources, the continuously grow of world population and world consumption cause some questions and concerns. Many industries and experts are focusing on a solution for these problems, but why not prevent find a solution for the cause of the problem and it and neutralize world population and world consumption? Eating less meat has not a direct effect on a better world and planet, but it creates on the long-term benefits for the planet. It creates a reaction towards the agriculture business, less demand is less production, less production is less gas emissions and the use of earth resources and thus benefits for the world. All the small changes can make a big difference. 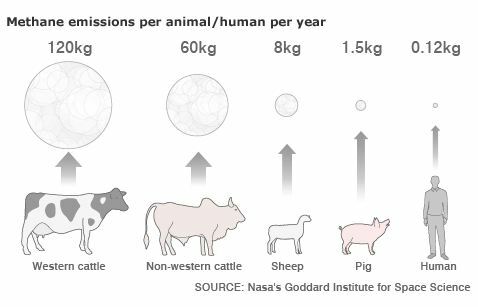 If we look to the production of 1KG of beef, it cost 15.000 litres of water, 30kg of carbon dioxide(almost the same as the energy use of a house for 24 hours) and 5 m2 of land. 1 kg of potatoes requires, 290 litres of water, 0.5kg of carbon dioxide and 0.6 m2 of land. So, fruits and vegetables require less resources and have a lower gas emission in comparison with meat. Next to that, animals are being fed that also requires land and food, this land and food can also be used to directly feed humans instead of animals. Eating less animals and animal products could show a decrease in greenhouse gas emissions (carbon footprint), the use of the earth resources(water, land,fossil fuels), the loss of biodiversity and deforestation. There are many opinions and also researches that conclude that eating less meat has health benefits. Eating less meat decreases your heart disease, certain types of cancer, strokes, diabetes and many other chronic illness says the American Heart Association. Cancer – Especially a high consumption of red meat and processed meat are linked to a higher risk to several types of cancer. For example, 50 grams a day of processed increases the risk by 18% of getting cancer. Cholesterol & Heart disease – Red meat it associated with this, due the high saturated fats that can be found in red meat, which lead to an increase of cholesterol and the risk of developing a heart disease. Diabetes – There is an increased risk of developing diabetes by consuming too much red meat, while plant based proteins can protect against diabetes. Weight Management – A high consumption of red meat or processed meat could easier lead to increase of weight through fats or adjectives. While types of vegetables have lower fats and more fibres that will give a fuller feeling for longer and helps with managing weight management. Antibiotics – In some places the animals are in a bad condition this leads to bacteria and disease, antibiotics are used to cure of prevent this, and are also used as growth supplements. When we consume meat, we could indirectly also consume these antibiotics that are still present in the meat. Better digestion – Meat does not contain fibres that are needed for a better gut health and digestion. In contrary, vegetables (beans, lentils) are a good source of fibre and have benefits to our digestion. It can save money – Meat is relative expensive, in the beginning it can be hard to search for cheap non meat options. 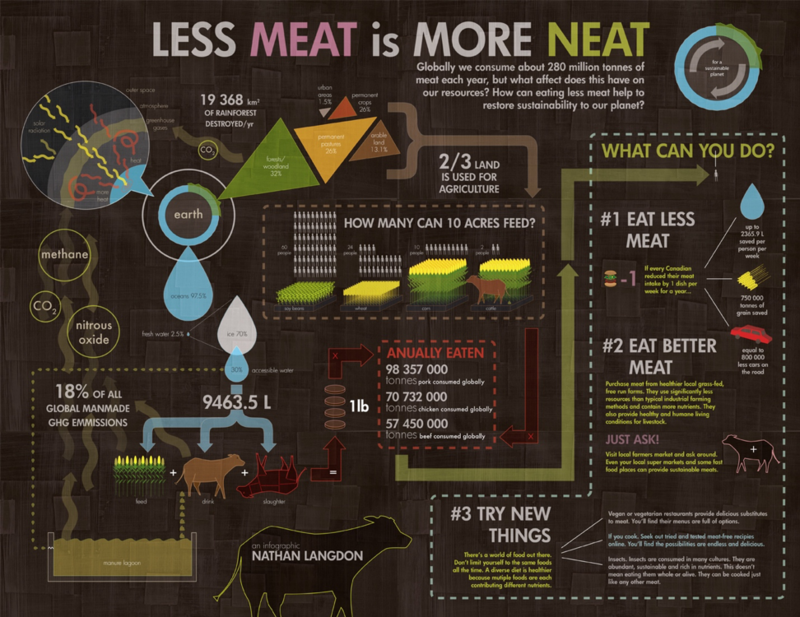 However, with some more knowledge it could reduce your cost (also think about adding less meat, cost also less money). Creative – Your creativity will probably get a boost from learn and try all kind of new recipes and ingredients. All good things have also a more negative side of the story, that is also the case here. The hypes and trend amongst healthy food cost it toll. Quinoa has been growing extreme popular, but this has also it negative side. Most of the quinoa comes from Peru and Boliva, the rumour was that local people suffered from price increase and could not afford have the same nutrition, but their welfare also increased and therefore the rumour is not true. However, there are stories about that the soil is becoming of less quality losing its nutrients and results in erosions. Next tot that many other countries (China, India, Nepal, US, Canada) are also planting quinoa, with a combination for less production and competition it could harm the local population (Peru & Bolivia) their good sold and welfare. Another story is about the avocado, the popular superfood is in many recipes. Because it has become so popular, the drugs cartels in Mexico also get interested in it. Greenpeace in Mexico reports that the local farmers are being forced to give up their land so that the drugs cartels can start an avocado production on these lands. Eating less or no meat at all, also changes things in your body because your body gets nutrition from the animal products you consume. Therefore, think about your proteins, iron, zinc, vitamin B12, vitamin D and calcium. There are plenty of other sources to get it from, but some people need more or less from a certain nutrition therefore and have the lack of knowledge to get it from other food sources. Across the world there are several awareness projects and awareness weeks that are being organized by individual, organizations or even governments. For example vegan (national) weeks or even months. Some examples, the national vegan week in the UK from 14th till 20th of may, the 1st of October the world vegetarian day, or in the Netherlands National week with meat (and fish) from 11th till 17th of march. The national vegetarian week in the Netherlands was organized for the first time in 2018, 31.935 persons participated (including myself) and they saved 380.026.500 litres of water, 388.968 kg of carbon dioxide and 31.935 chickens. If you would eat one week vegetarian it will make some impact. You will save 1476 water that is almost the same as 7 months showering, 1740 gram of carbon dioxide that is the same as driving your car 114KM, 1 chicken (consumed meat transformed in an animal), and 7 months’ work of a tree that needs to transform the 1470 gram of CO2 in oxygen. You might think should I also contribute to this? Will earth be able to sustain life with these small changes? In the end we will not know if it will help, probably because we are all dead then. However, I think it is our human responsibility to think about it, talk about it and consider it. Of course we don’t have to changes all of our lives drastically, but the small things we all do now together can have a big meaning in the future. Next to that, don’t you want to have a better or sustainable world for your kids or their kids? Eat on monday (or more/other days) no meat. Be a vegetarian during the week and only eat meat during the weekend. You don’t consume meat, but you do consume fish. You don’t consume any meat or fish. As a human living on the planet earth and the equal responsibility we have to make the earth a little bit better place to life, I challenge you to try one of these suggestions and think if it was hard to implement it in your diet and daily life. And consider it to permanently implement it in your daily life and diet. Share this infographic to create awereness! Tagged animals, antibiotics, cancer, carbon dioxide, Carbon Emissions, carbon footprint, cattle, Climate Change, co2, diabetes, Education, emissions, footprint, GHG, green world, Greenhouse gas, Health, health benefits, hearth disease, less meat, meat, meatless monday, methane, nutrition, Palm Oil, pescatarian, pig, planet, sheep, Sustainability, sustainable, vegan, vegan before six, vegetarian, water, weekday vegetarian, world population. Bookmark the permalink.